Come celebrate World Asthma Day with us this year by participating in our Speaker Series Webinars! On Tuesday, May 1 at 12:00 pm (EDT), we will be hosting a webinar with two environmental experts about the Impact of the Environment on Asthma. The environment, both indoors and outdoors, has had a direct impact on the health of people living with asthma. Both the prevalence and severity of asthma are affected by the environment. With recent trends in climate change, it has become more difficult than ever for people living with asthma to manage their symptoms. Climate change leads to intense heat waves, atmospheric pollution due to wild-fires, and longer allergy seasons – all of which can worsen asthma symptoms. Our webinars include a Question & Answer session with the guest speaker, giving you the opportunity to ask your most pressing questions to two of Canada’s environmental experts. Don’t miss the chance to hear Dr. Christopher Carlsten discuss the impact of the environment on respiratory health and James Scongack outline what the phase out of coal in Ontario has meant for air quality. Our first guest speaker for the Impact of the Environment on Asthma webinar is Dr. Christopher Carlsten. 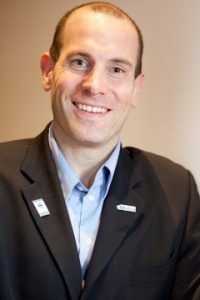 Chris Carlsten, MD MPH is an Associate Professor of Medicine, Canada Research Chair in Occupational and Environmental Lung Disease and holds the Astra-Zeneca Chair in Occupational and Environmental Lung Disease at the University of British Columbia. He is the Director of the Air Pollution Exposure Laboratory and also holds adjunct positions at the Peter Wall Institute for Advanced Studies, the UBC School of Population and Public Health and the Centre for Heart Lung Innovation. The Carlsten laboratory focuses on the respiratory and immunological health effects of inhaled environmental and occupational exposures, using diesel exhaust, western red cedar, and phthalates as model inhalants. As director of the Occupational Lung Disease Clinic at The Lung Centre (Vancouver General Hospital), Dr. Carlsten welcomes patients with concerns regarding occupational or environmental exposures contributing to respiratory disease including asthma, COPD, interstitial lung disease, cancer, and pleural disease. Our second guest speaker for the Impact of the Environment on Asthma webinar is James Scongack. 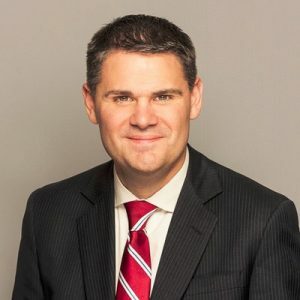 James Scongack is the Vice President of Corporate Affairs & Environment for Bruce Power and is responsible for environmental and waste management, Indigenous and community relations, communications, corporate social responsibility and stakeholder relations. In his role he has also the executive lead for the Site Lease with the Province and Isotope development. More recently, James was part of the Bruce Power team which successfully negotiated a long-term commercial framework with the Province of Ontario, extending the life of the facility to 2064 enabling the $13 Billion life extension program. He also served as executive co-host for the 2015 International Atomic Energy Agency OSART Mission.